Do we really tell ourselves the stories as they actually happened? Our cherished memories are often retold in great detail, evoking the same emotions with intensity and recent familiarity. We also listen to the frequent narratives within our families, communities and so on, and with each retelling, the story seems to become more vivid for us. This occasionally works to our advantage. So remembering a walk at the beach, replaying the details of the sunset colors, the feel of the sand under your feet, the smell of the ocean breeze and the soothing sound of waves – returns one to a peaceful place. Similarly, for years, I have associated the cinnamon smell of freshly baked apple pie, with warmth, motherly love and a sunny kitchen. Whenever I ate apple pie, it gave me opportunity to discuss delicious recollections with whoever happened to be with me at that time. A beautiful association with pampered, cared-for childhood days. Sweet and nostalgic, isn’t it? Only problem is, it never happened. 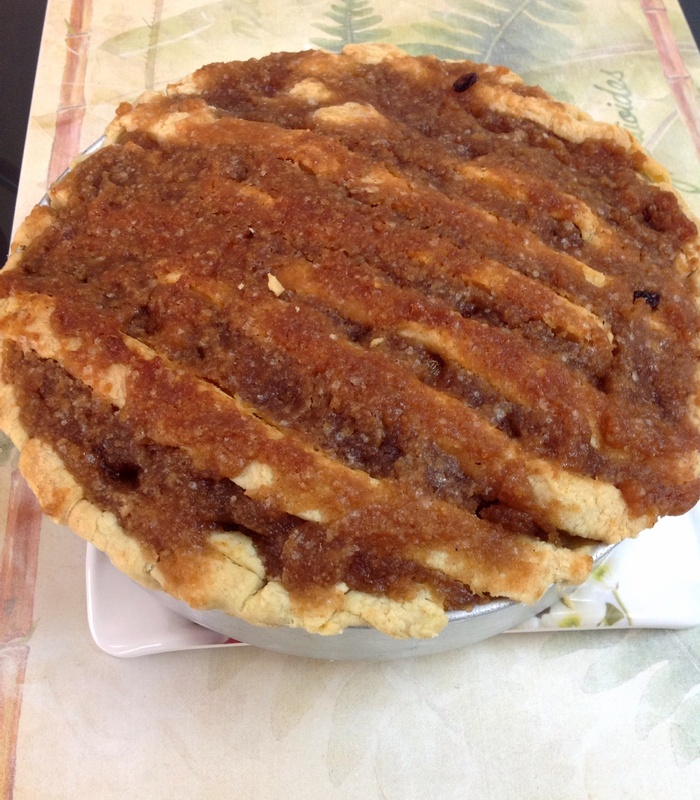 My mother made a lot of wonderful dishes, but I now know, Apple Pie was not one of them. How do I know? Because when I recently had the urge to make one, I tried to find a favored recipe. There is no such recipe in her collection. That led me to question my thoughts on the subject. As Byron Katie says, “You don’t have to believe everything your thoughts tell you.” And I was most amused when I realized that I learnt to make and eat apple pie in my friend’s kitchen, from her mother, well into college. Prior to that, my extensive reading (including the delicious details from Enid Blyton books) in my early childhood had immersed me in worlds I had not really lived in. Leading me to believe, that apple pie was a favorite childhood memory. Now before you dismiss all this as one of my eccentricities, you may want to look up ‘False Memories’ or ‘Inaccurate Memories’ on the net. Contrary to what most of us think, our memories are not accurate, factual accounts of things as they happened. They are plastic and malleable, subject to suggestion, sometimes unknowingly borrowed from others through frequent discussion and so on. There are serious implications to this when you add in the finding that ‘Remembering negative events can stimulate high levels of false memory, relative to remembering neutral events.‘ (~ see Source). The implications of this are huge, both at an individual and collective level. We often cling to our version of what we think happened and it can continue to cause a great deal of pain, anger and many other negative emotions, affecting our well being and relationships for a significant period of time. It is not uncommon for the wounds and grudges to persist in individuals, families or collectives, without ever questioning the possibility that something in the story may have got a little different along the way. What if it did not happen the way you remember it? Would you be willing to question your beliefs about this event/person/collective? Would this help you be willing to let it go? Would you rather be right, or free? For those who struggle with forgiveness, starting afresh and seeing anew, if this article prompts you to look for means to be less rigid in the defense of your memory – there are plenty of tools that can help you. Emotional Freedom Techniques (EFT) and Emotion Code can both help in releasing the trapped emotions that keep our narratives locked in place. Ho ‘oponopono is also a wonderful way to correct the errors in our perception. Fortunately for me, in this instance, I only had to laugh at my own fabrications, and happily enjoy the Apple Pie that inspired this post. But, I hope this article helps someone question and release a troubling memory and also laugh at the tricks our mind plays with us, and how we buy into the drama all too seriously. Considering these lines together with my own blog post, ‘What are your memories costing you?’, has been a useful contemplation for me. To me, what came is that who we consider ourselves to be – is largely the sum of our preferences (and dislikes), strung together with narrative explanations that the mind puts forward for the happenings we experience. I am re-posting my blog here, along with GD’s lines… and inviting you to meditate on both together for yourself.